Coming of age can be an adventure. No one knows this better than William James Tillit, an abandoned child from east Texas raised by his loving aunt and uncle, devout evangelical siblings who are determined to do their best by their young nephew. Will has his own conversations with God, but his god sounds nothing like that of his guardians. Will’s deity is insightful, but he’s also sarcastic, and down right grouchy. Needless to say, Will keeps these conversations to himself. The day arrives for Will to leave home and make his own way in the world. His ticket out? A job at the Bible-inspired Galilee Theme Park in west Texas, run by none other than Reverend Shister. But Will’s passage to Galilee is far from a simple A to Z trip. Sidelined by a tornado, a beautiful young woman, and a group of religious doomsday preppers bent on surviving—or ushering in—Armageddon, Will comes to realize that perhaps faith—like life—is not about the destination; it’s about the journey. 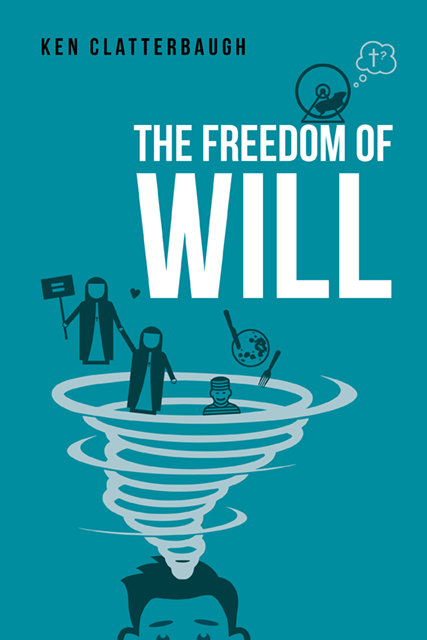 The Freedom of Will is an absurdly comic coming of age tale about falling in and out of faith and how we come to be who we are through the influence of those around us. Whether kindly aunts and uncles, a possibly atheistic hamster, lesbian nuns committed to social justice, likeable convicted felons, or a gourmet chef who claims to get his recipes from outer space, there’s something to learn from everyone, if only we have the grace to accept the people life throws our way, and the will to listen. "A religious-themed comedy of errors that presents a wry yet ultimately affectionate look at the state of godliness today." "On the one hand, the novel is a fun, light read. On the other hand, it doesn't shy away from deep philosophical and theological debate, and the humorous characters and situations leaven things just enough so that such moments do not feel heavy-handed or contrived."